Large construction and demolition projects typically result in a great deal of scraps and waste in Atlanta at the conclusion of the task. Fortunately, this presents the opportunity for cardboard, plastic, and metal recycling, which can put these materials back into circulation rather than sending them to a landfill. Watch this video to find out how to separate these materials. 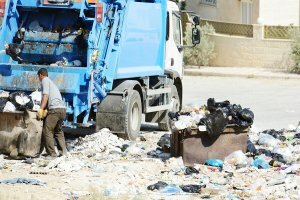 Separating out reusable materials from waste and debris is an important process, and it tends to be most successful when it is done on site because the materials are cleaner. Separating and recycling cardboard, plastic, and metal are typically easier tasks with construction projects, as demolition debris is sometimes contaminated. Qualified waste specialists can go through the waste products left over at the end of a project and sort out any useable lumber, aluminum, concrete, or other valuable materials that can be repurposed for new products, packaging, or projects. 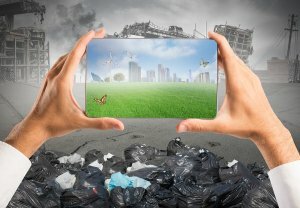 Your commercial or industrial business may see all different kinds of garbage, and hopefully you have an efficient system of recycling in Atlanta. Keep reading if you are interested in learning about how to dispose of electronic waste. While recycling anything that can be recycled is a positive step for the environment, electronics tend to be very reusable. Old computers, printers, and cell phones often contain a substantial amount of materials that can be reused or repurposed for other applications. In addition to keeping these kinds of resources out of landfills, properly disposing of an electronic helps to ensure that fewer materials must be collected and used to manufacture new units, helping to conserve resources and minimize pollution. 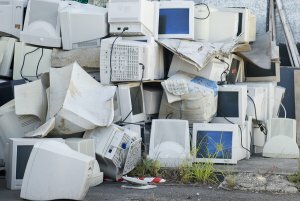 Larger, bulky appliances like desktop computers and televisions as well as smaller, mobile devices such as tablets and cell phones may all be recycled efficiently. The manufacturers of these devices typically offer specific recycling opportunities where you can dispose of your electronic waste, and retailers tend to provide opportunities as well. Look online for your next opportunity to donate or recycle your electronic waste. A dump truck is similar to other large, industrial vehicles in many ways, but it also features a few unique components of its own; while they may not all look exactly the same, dump trucks tend to share these specific components. Much like a flatbed truck, a dump truck features one axle underneath the cab and one, two, or three axles underneath the dump box, depending on the truck itself. A dump truck utilizes an internal combustion engine that is either powered by gasoline or diesel fuel, and the dump box is powered by hydraulics and features a tailgate that usually opens automatically during the dumping process. A dump truck can relinquish its load in one of two ways: lifting or pushing. Although it requires more vertical clearance, lifting is the more popular method of dumping. In this case, the end of the dump box that is closest to the cab of the truck will be lifted using hydraulic pistons, which creates an angle and allows the contents of the dump truck to fall out. Dump trucks that use the pushing mechanism, on the other hand, rely on a vertical panel inside the dump box to push the contents of the box out through the tailgate. While the dump truck itself is powered in the same way as other gas or diesel trucks, the truck and the dumping mechanism both rely on the internal combustion engine. The transmission connects to the power take off, which powers the hydraulics; if the truck is off, the dumping mechanism cannot be used.